Supposedly this is the world fastest Subaru WRX STi which is a bold title to hold considering the massive potential and capabilities of the current WRX STi. No doubt that the STi is a stunning performer but the one of the many demonstrated in the video below, is a monster that is able to make a dash from 0 to 60mph in an astonishing 1.9 seconds. That may cause a mild case of whiplash if you are not careful. That’s almost Top-Fuel Dragster proportions, well… not really, but you get the point I am trying to make. 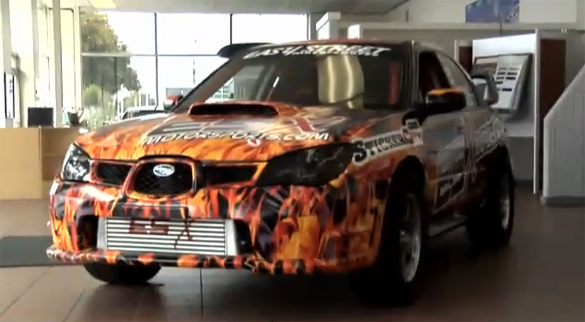 Ali Afshar, creator of the world’s fastest STi, shows us how to take these Subaru Imprezas, WRX’s and STi’s from stock performers to modified world class contenders.